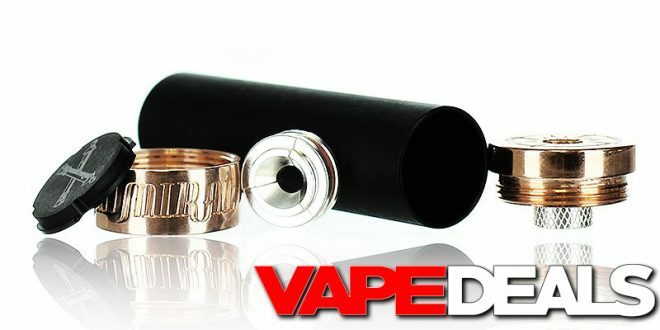 Here’s your chance to pick up a Broadside Admiral 20700 Mech Mod at a great price. Eightvape is selling the brass, white, and copper versions for $99.99. But…you can still get a $15 discount on orders over $100. So, just add a cheap accessory (like a $0.20 drip tip), and you’ll be looking at a grand total of around $85.19! You could also pick up the Blackout Edition for $94.95 or the new Nashty Edition for $153.95 (no filler item needed for those). I’m not sure how much longer the extra discounts will be valid for, so don’t wait too long to stop by.